Disclosure: I am a member of the Collective Bias® Social Fabric® Community. This shop has been compensated as part of a social shopper insights study for Collective Bias and their client. All opinions are 100% my own. as i’m preparing to move in just a little over a month, (hopefully) start a full-time job, and incur quite a few personal expenses, i’m attempting to save as much money in as many places as possible. really though, i always like to save money. i mean, who doesn’t? i prefer to check my bank account online and see a higher number than i expected, instead of the other way around. with this big move and endless expenses on the horizon, i’m trying to come up with ways to cut some of my spending now and use that saved money for other things…like food and life. i’ve already got a list going of fun ways to use my long-term savings. one of the first places i can cut spending is on my phone bill – i need a cheap wireless plan! as a proud owner of an iPhone, i have the joy of having to pay for its service, which ain’t cheap. 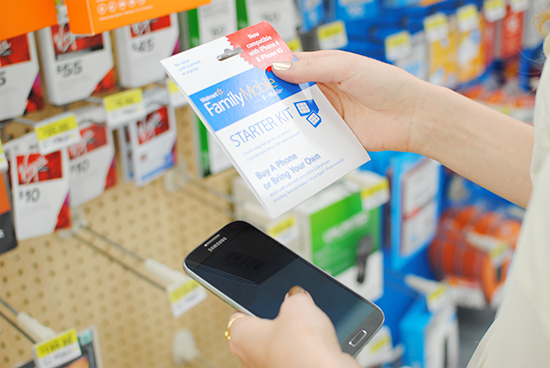 enter: Walmart Family Mobile Plan and the Samsung Galaxy S4. they offer unlimited plans, at a fraction of the cost of regular plans. i chose the lowest price rate plan available to me. 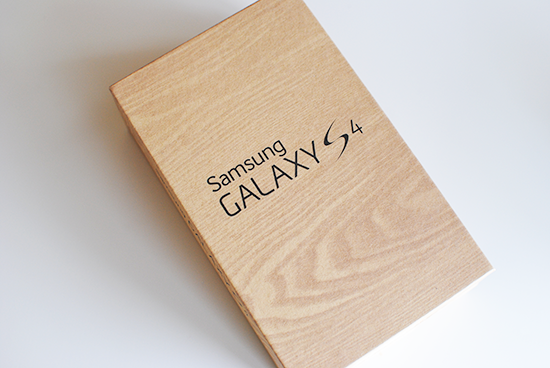 i received the Samsung Galaxy S4 for this shop and was actually pretty excited to check it out. i’ve seen a lot of commercials lately about the cool features, so i was anxious to see what they were like in real life. well, they’re awesome. i’m really impressed with the capabilities and functions of the phone. and, i’ll be honest, it almost makes me want to turn my back on my iPhone. almost. 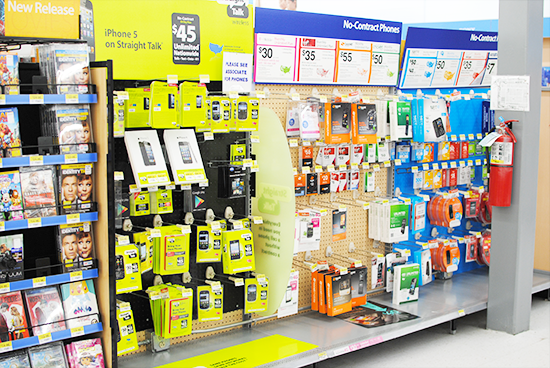 as part of this shop, i was asked to go to my local Walmart and pick up my Family Mobile Plan Starter Kit. to see my full experience shopping at Walmart, check out my Google+ album. there’s some real gems in there. shopping for the Starter Kit couldn’t have been easier. although there were a lot of other options, i was able to find what i was looking for without too much trouble. 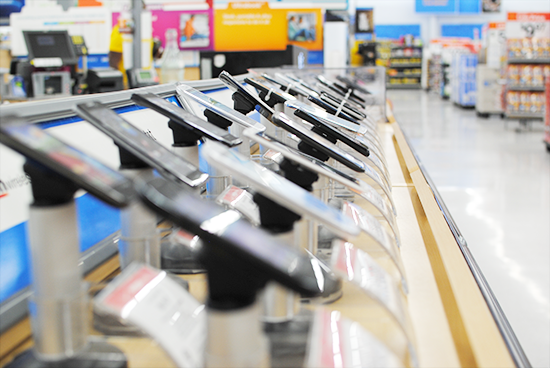 i was really impressed with Walmart’s Mobile section. i’d never actually made it to that part of the store before (i’m usually just running in to buy shipping envelopes and bubble wrap for my business), so when i saw all of the options, how well organized it was, and everything that they had to offer, i was pleasantly surprised. all i had to do was pick up the Starter Kit and check out at the register – nothing else required. it really couldn’t have been easier, which i love. as soon as i got home, i tore open the Kit to activate my phone. 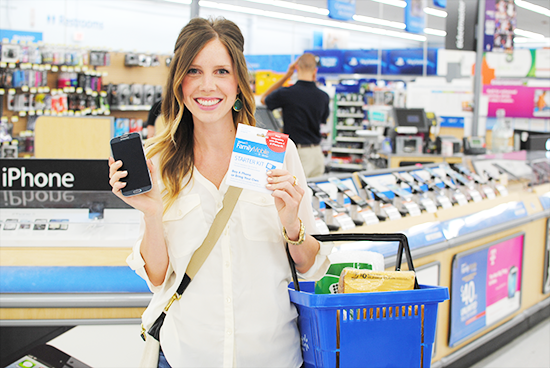 it was a very quick and painless process to set up my Mobile Plan through Walmart’s activation website. account management is made really simple through their online account management page, so i can easily keep track of my bill and account information right there. – to add to my “vacation” fund that i’ll be using to make trips back here to North Carolina once i move, including a friend’s wedding that i’m attending in October! – to take Mike on a fun date once we’re finally living in the same state as each other!